FDN, Ithaca Food Pharmacy partnership improves local health with better diets. Written by Tilden Chao, 2019. When you walk into the Ithaca Free Clinic at 521 West Seneca St., you’ll be amazed at the diverse services the clinic provides. In one section, you can speak with Ithacan herbalist 7Song, and in another, you can meet with a counselor to understand your mental and physical health. And nestled in one of the clinic’s offices is Sue Mueller (RN), a diabetes expert who has dedicated her career to helping underserved residents battling diabetes. “A common problem in medicine is that patients lack the resources to act on medical advice. Someone who has food insecurity or other socioeconomic stressors has a harder time following through with treatments we prescribe,” Sue says. Nearly 80 percent of Sue’s pharmacy patients make less than $15,000 a year, causing patients to live in and out of homelessness. Each month, Sue would see the same patients, but wouldn’t notice any improvements in their blood glucose levels. She would outline the importance of a wholesome diet of whole grains, fruits, and vegetables. Her patients understood what they needed to eat, but just didn’t have access to the types of food Sue recommended. Poverty causes people around the globe to eat in metabolically detrimental ways. A bag of chips is cheaper than a head of kale, and sometimes local pantries are completely out of fresh produce. Sue’s patients often work odd jobs and irregular hours. Their work schedules may not allow a convenient time to eat, and their jobs don’t pay well enough to afford the wholesome diet Sue recommends. Instead of eating three moderately sized meals a day, many patients typically eat one very large, nutrient-dense meal. “This creates a feast and famine relationship, in which the body doesn’t know when it will eat next,” Sue explained. The body then tends to hold onto these fats and sugars from each meal, exacerbating obesity and diabetes. Since February 2018, the Ithaca Free Clinic has partnered with Friendship Donations Network to create the Ithaca Food Pharmacy, a center that combines food access and chronic care. The food’s journey to the pharmacy begins with FDN volunteers. On the fourth Monday of every month, volunteers spend the morning organizing food donations from Ithaca supermarkets, including GreenStar, Wegmans, and Tops. Volunteers set aside food for the Ithaca Food Pharmacy and Sue picks up these donations later in the day. Sue then drives to the pharmacy, where a team staff and volunteers set out the food for distribution. 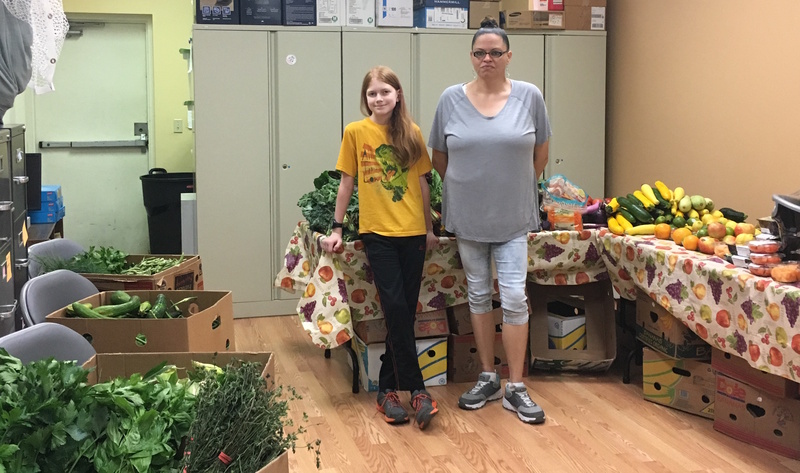 When patients visit the clinic for checkups that evening, they receive medicine, nutritional supplements, and bags of bread, fresh produce, and GreenStar prepared deli foods. There are no limits on how much food patients can take, and patients often go home with four to five bags of fresh food. Through the cooperation of FDN volunteers, FDN provides roughly 98 percent of all food distributed at the pharmacy, totaling 300 to 500 pounds of food per month. For one elderly patient, the food pharmacy has been invaluable. She doesn’t qualify for Medicaid, but her low income makes many foods practically inaccessible for her. With the fresh produce from FDN, Sue has noticed an exponential improvement in the patient’s blood glucose levels. FDN not only helped rework the patient’s diet, but also fundamentally improved the quality of her life. When we consider the impact of our work in food justice, our work isn’t limited to combating hunger or providing fresh produce. Through the Ithaca Food Pharmacy’s partnership with FDN, the clinic makes food accessible, treatments effective, and health goals attainable. This work extends to one main guiding principle — when all our neighbors are healthy, our community thrives. You can find more information about the Ithaca Free Clinic and the Ithaca Food Pharmacy at ithacahealth.org. The free, walk-in clinic is located at 521 West Seneca St. and is open from 2 to 4 p.m. Monday afternoons and 4 to 7 p.m. Thursday evenings. The Ithaca Food Pharmacy operates once a month on chronic care days. For the next food distribution date or to make an appointment, call (607) 330-1254.